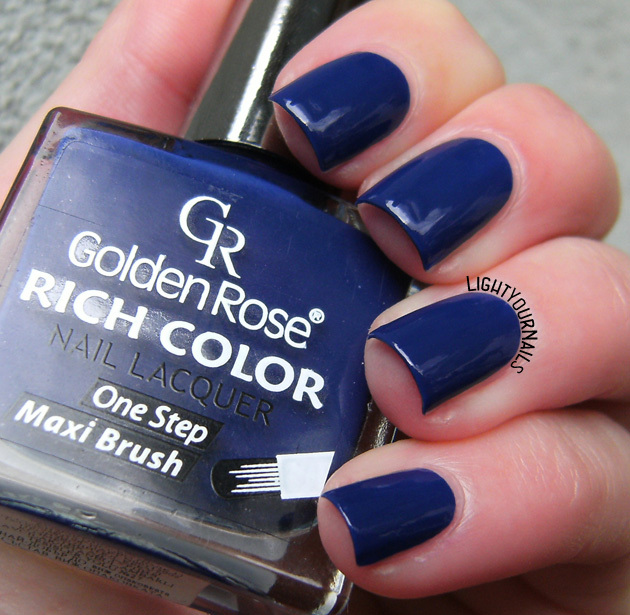 ABC challenge: Golden Rose Rich Color 16 | Light Your Nails! It looks like I unintentionally have some Monday blues for you today! It's time for letter G in the ABC challenge ride and I picked Golden Rose Rich Color 16. Application is incredibly easy, it goes on like butter and this is ONE glorious coat without top coat. E' il giorno della G seguendo l'alfabeto e oggi vi mostro un bellissimo smalto blu. Ho infatti scelto Golden Rose Rich Color 16, comprato un secolo fa in un e-shop bulgaro. La stesura è burro, di una facilità al limite dell'incredibile, e credeteci o meno, questa è una sola passata senza top coat. I couldn't make a better choice to start off the week! Non potevo scegliere smalto migliore per cominciare la settimana! Voi cosa state sfoggiando sulle unghie? Wonderful color and a gorgeous finish! Golden Rose sono davvero degli smalti molto validi, considerando il prezzo poi! Anche a me piacciono tantissimo! E' vero! Questo è il secondo che ho di questa linea e sono entrambi ottimi! I think this is a very nice blue color. É um tom de azul muito lindo mesmo. I love this polish. Great quality at small price. che qualità pazzesca, e che colore!! Davvero? Io l'ho comprata online dalla Bulgaria! I Rich Color sono strepitosi, non finiscono mai di stupirmi. Ne ho solo due e in effetti sono entrambi ottimi! this is a lovely color. Before reading the review bit I already thought this was a smooth and creamy shade and then I read it's a one coater! Oh man, that is a gorgeous color! Gaahhhhh that is such a beautiful creme! One coat?! That is amazing!!!! These kind of navy blue cremes are always a classic hit with me! Ooops! When I have naked nails it usually means I am in a bad mood. I hope that's not your case! 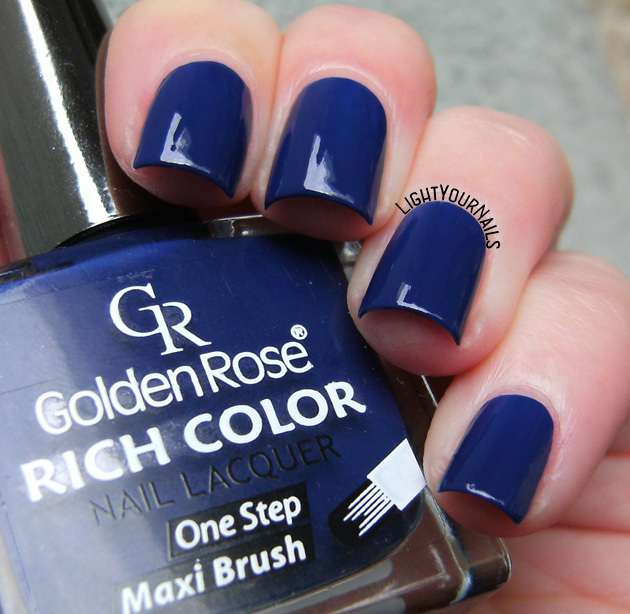 This is such a rich, beautiful shade of blue!